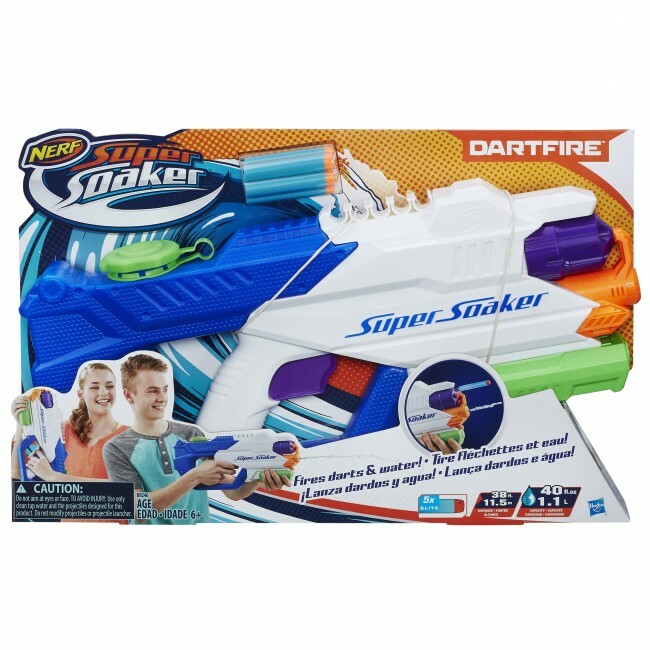 Found these clear images of the upcoming Nerf Super Soaker Dartfire images below on this UK Toy & Model Distributor webpage. Contrary to my initial hypothesis, this blaster does NOT appear to launch water-propelled darts. 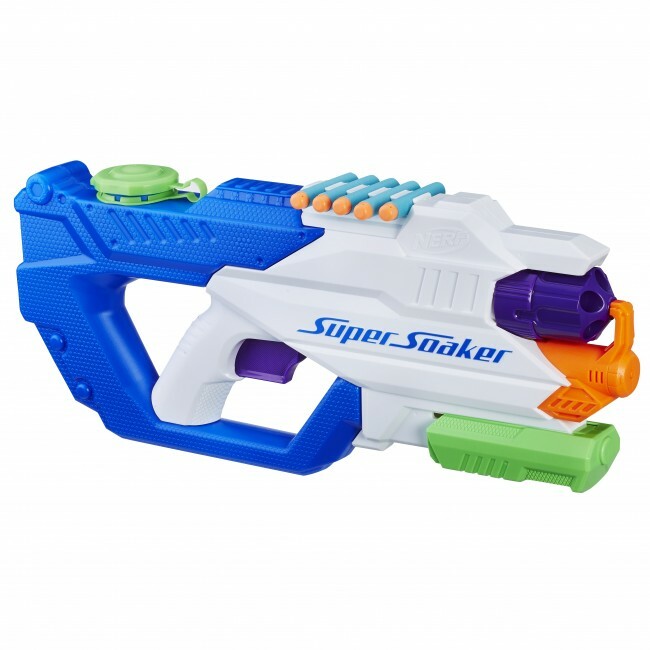 Rather, it appears to be a combination blaster that can shoot darts OR water, reminding me of the Nerf: Switchshots series from ~2000. I am unclear if there is a selector switch or not.